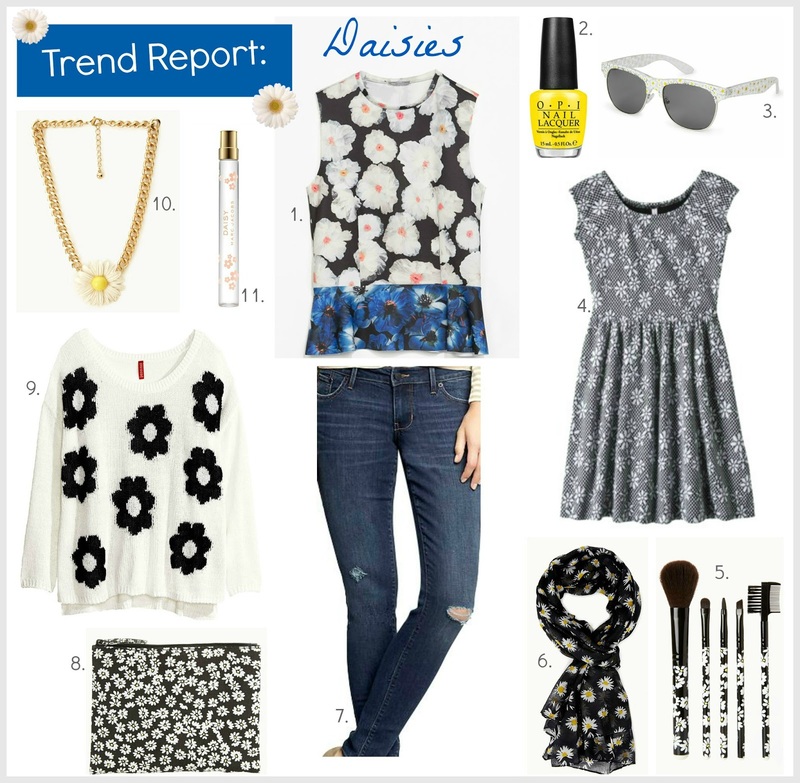 Everything's coming up daisies for spring! This fresh retro look is more popular than ever this season, with almost every store in the mall showing some version of the daisy trend. Since this falls under the trend category of fashion, there is never any need to spend more than you have to! Here are a few of my under $25 favorites I've seen so far with the cute Zara top showing off the daisy pattern in the newly trending watercolor style. What do you think of this print - will you wear it? Miranda Kerr wearing a Topshop dress from last spring. *The huge denim sale started - a great time to buy or try a new jean for less than $20!